Are you thinking of moving to Lincoln? We did some research for this article, in order to help you make your decision. 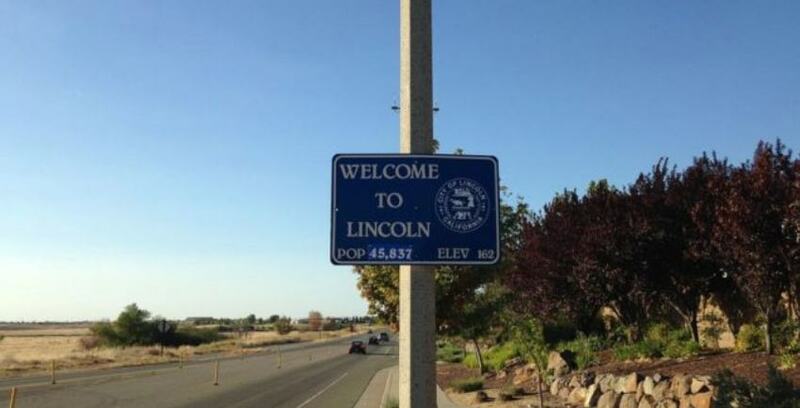 Lincoln, CA is a suburb north and slightly east of Sacramento, which has a population of about 45,000. The temperatures range up to the mid-90s in summer on average, and to a low of about 39 during winters. The record high for summer is 115 and record low for winter is -6. Most of the year, the weather is dry, but there is some rain from October to April. Most of the population is White, 17% is Hispanic, 6% is Asian and about 1.5 % is African-American. Less than one percent is Pacific Islander and about 4% are of mixed-race backgrounds. The median sales price of a Lincoln home is approximately $424,000 and the average rent is $1,219. You might find a small home for less than that, but what might be even more appealing is land. There are some parcels of several acres or even more for a price very few would be able to afford in a big city — if it was available at all. In Lincoln and the surrounding area, you might find undeveloped land for less than the cost of the typical single family residence. In this case, you could have your own home built but still have space for a very large garden to grow some of your own food. If you are renting and need the most affordable option, you may find shared living situations for about $600 a month. Moving to Lincoln might be for you if you want to experience some open space but still be close to a major city in order to enjoy some culture. In nearby Loomis — Green Elephant Restaurant. Chabad Jewish Community Center is the closest place of worship for Judaism, it is located in Folsom. Lincoln has a number of parks that one can enjoy, including a dog park. What are some things to do? Play golf at one of the three golf courses. Visit a local winery or brewery. for a massage or facial. River or boating on Rollins or Clementine Lakes. Yes, Lincoln is not an urban setting so it has its own open spaces with parks and plenty of greenery. It also is only about 13 miles from Auburn, which is near the American River, a place well-known for its natural beauty. Thousands of people visit the river each year to enjoy the water and scenery, whether they are kayaking, rafting or simply swimming. Hidden Falls Regional Park is very close to Lincoln and has over 1,000 acres of open space. Here, you can hike, bike and ride horses in a setting with foothills and some small waterfalls. Auburn State Recreation Area and Empire Mine State Historic Park are also close by, they have proven to be some of the local favorites for outdoor enthusiasts. Moving to Lincoln would likely appeal to people who like the slower pace of a smallish town, but still have the ability to access Sacramento for the cultural advantages. Of course, Lake Tahoe is visited by people from all over the US, with some visitors from other countries too. It is about 105 miles from Lincoln, which is an easy drive if you prefer this destination. Skiing, snowboarding, hiking, boating, fishing, and swimming are all available. If you drive east, Napa is less than 90 miles, and the Napa Valley has its own charms. Yosemite is visited by millions each year, and it is only 165 miles from Lincoln, if you like the high Sierra. Having Tahoe and Yosemite within 3 hours is quite an advantage if you are a nature buff. Very close to Lincoln, in Rocklin, there is a cineplex showing mainstream American movies. Thunder Valley sometimes has live music shows, and there is a lounge in Lincoln which has DJs. There is an AmTrak station in nearby Rocklin, and a light rail station in nearby Folsom. The light trail can take you to Sacramento and points in between. For air travel, you can access Sacramento airport which has many domestic flights and some international ones. Local buses run frequently and a one-way fare is $1.25. If you have your own vehicle, you will have no problem getting around Lincoln and the surrounding areas. Lincoln is also located right next to I-80, which you can take to San Francisco or all the way to Chicago. Moving to Lincoln will not leave you without transportation options. Yes, we have a storage facility in Lincoln and can answer your storage questions. So, after reading this article are you still interested in moving to Lincoln?